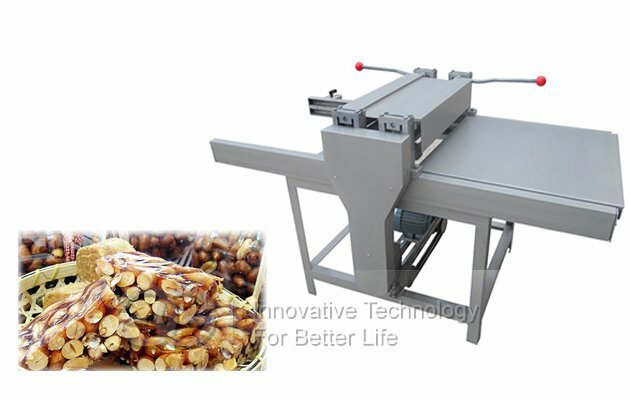 The semi-automatic peanut brittle flatting and cutting machine need be controlled by manual which is applied for peanut brittle and sesame candy. You just need put the raw material into the hopper, then the molding machine will finish assignment, pressing, cooling and demolding automatically.The mold size can be ordered by the clients’requirements.The cutting speed can be controlled automatically, the feeding is automatic, and feed cutting is automatic. 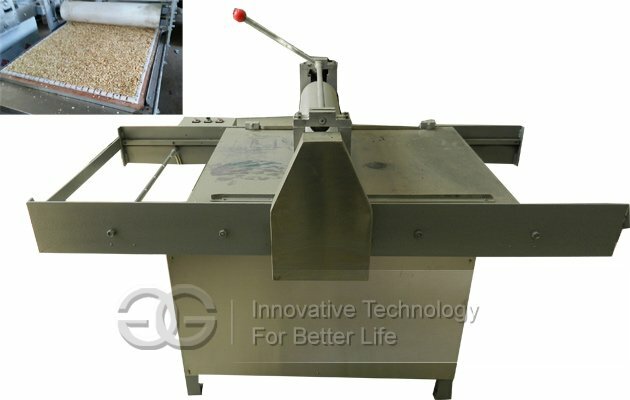 The peanut brittle can be cut by horizontal and vertical automatically, and the peanut brittle size can be adjusted as the clients'requirement.The finished peanut brittle is smooth and beautiful, neat and tidy, high production efficiency .Both two machines need be matched closely to put into use which is the best choose for processing peanut brittle and sesame brittle products with small capacity.We can customized the two machines according to users’exact demands;The thickness of flatting and size of cutting can be customized within certain scope.Whole process is easy to operate and control and saving energy and labors. 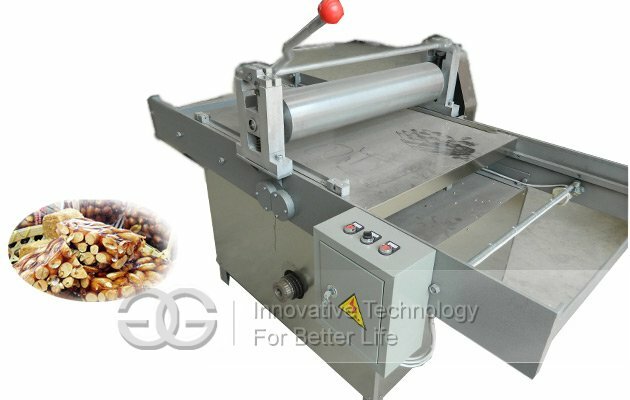 1.Multifunctional;It is is used for cutting peanut brittle, sesame candy, rice candy. 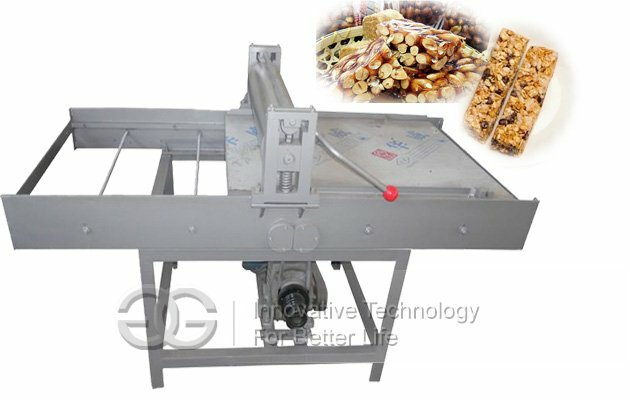 2.It can work together with peanut brittle flatting machine. 9.Both two machines are easy to operate and clean. 10.Applied widely and High performance.